• Annual Scotty’s Mud Drags play at 5051 Lily Pad Lake, call 250-791-6383 for more information. • Farmers Market, 9-2pm in Boitanio Park every Friday until Oct 11 . 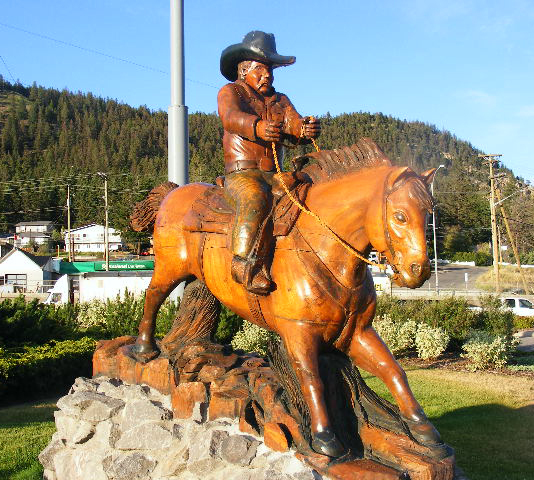 • Sept 6 – 8 Annual Barkerville Cowboy and Drover Jubilee at1pm in Barkerville. • South Cariboo Community Fall Fair. Local trade, produce and live entertainment at the Cariboo Rec Centre. • Day of Destruction, Points Final Championship Racing, Crash to Pass, and fun day. Racing – all classes, qualifying at 12pm and races start at 1pm at Thunder Mountain. • Farmers Market starts at 830am at Helen Dixon Centre Grounds. • Paddling is Awesome Day, at Pioneer Park, boat races start at 9am. • 33rd Annual Fine Arts Show and Sale, TheParkside Art Gallery at 11am. • BCPBR Finals Bull Riding South Cariboo Fall Fair. at the Outriders Grounds. Tickets $15, students $10. • Cariboo Mountain Bike Film Festival, enter at ridethecariboo.com, deadline is September 5. • Golf For Kids Sake at Richbar Golf and Garden. To register call 250-992-7257. • 30th Annual Jimmy Dunlop Memorial Toy Run, 1-4pm from Sylvia’s Café at Leboudais Park. • Boitanio Mall Clubs Day from 10am to 3pm. Clubs include, Scouts, Guides, WL Judo Club, Stampede Whirlaways, Square Dance Club and more. • Jail and Bail in Spirit Square downtown at 10am. For more information call Dave Dickson at 250-392-8701. • Farmers Market 9am – 2pm in Boitanio Park. • Cops for Cancer, Tour de North held Sept 13th-19th. Starts in Dawson Creek and ending this year in Williams Lake. • Outdoor Movie Night at 5pm, at the Cariboo Kart Racers Track. • Homeshow at the West Park Mall all day, 13 – 15. • Terry Fox Run, from12pm at Lebourdais Park. • Berniew and Red show at the Elks Hall Quesnel, Call Valerie at 250-992-8506 for tickets. • BC Rodeo Finals 13th – 15th at Alex Fraser Park. • South Cariboo Farmers Market from 8:30am – 1:30pm. Every Friday until Sept 2 at the Community Hall. • Seven Summits Bike and Hike Challenge, Wells. For more information call 1-866-944- 2345. • Farmers market starts at 8:30am at Helen Dixon Centre Grounds. • Cariboo Country Night. Doors open at 4:30pm, entertainment at 5pm with a BBQ steak dinner. Dance at 8pm. Tickets are $25/person including dinner, available at Ace High Resort, Watch Lake Lodge, Little Horse Lodge and Meadow Springs Ranch. • Terry Fox Run 2013, Starts 10am at Cariboo Memorial Recreation Complex. • BC SPCA Paws for a Cause, walk for the animals at Boitanio Park, registration at 9am, walk at 10am. • Terry Fox Run 2013, run starts at 11am in front of the Visitor Centre. • Farmers market from 9am-2pm in Boitanio Park. • Unlikely Paddlefest and Kayak celebrations. Sept 20-23. Held in Likely. • Quesnel Auto Racing Association – Fall Classic, Tri City + Points Final at Gold Pan Speedway all day. • South Cariboo Farmers Market at 8:30am-1:30pm at the Community Hall. • Barkerville’s 4 Annual Amazing Race to Rebuild Barkerville, all day. • United Way’s Fire Truck Pull from 11am – 1pm at Alex Fraser Park. • Quesnel Fall Fair from September 21 – 22 at Alex Fraser Park. • Quesnel Auto Racing Association Fall Classic, Points Final and Tri-City Time trails on Saturday at 4:30pm with racing at 5:30pm at Gold Pan Race Track. • Farmers Market from 9am – 2pm at Boitanio Park. • Geekenders Lost in Time 2: Take the Sky, at Barkerville Historic Site, all day Sept 27 – 29. • South Cariboo Farmers Market from 8:30am – 1:30pm at the Community Hall. • Cariboo Welcome Fair at TRU Gym starting at 2pm till 4pm. • Horsefly River Salmon Festival. Sat 28 – 29, www.horseflyriver.cafor map to spawning channel.